PRAYER GROUP Prayer meetings continue on Wednesday mornings at 10am in the Church hall. Prayer is the essential powerhouse of the Church and your participation would be greatly valued. The small group is very friendly and there is no pressure to pray aloud if you do not wish to. PASTORAL CARE Please don’t hesitate to call on the team for help. Either contact your elder or the coordinator, Janette Steele (01349 861591), and we will do our very best to assist. Please allow time for arrangements to be made to take you to appointments. LADIES BIBLE STUDY The group will meet next on Wednesday 6th February at 1.30pm in the Church Hall. We continue to use “Living a Life of True Worship” from Precept Ministries. These are stand-alone studies which do not require “homework” to be done. Maybe you would find this a good introduction to Bible Study if you haven’t been previously. Do give it prayerful thought and try to join us. 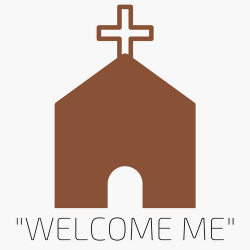 You will be made most welcome. RIVER CAFÉ The next River Cafe takes place in the Church Hall on Wednesday 14th February from 2pm-3.30pm. Why not drop in for some tea/coffee and home baking and the all important chat? We look forward to welcoming you there. SEAFORTH HOUSE Ferintosh Parish Church is to lead worship at Seaforth House this afternoon at 3pm. Feel free to come along and join in worship with this community. GUILD The Guild meets tomorrow afternoon, Monday 5th February, at 2pm when we will hear from Barry Mackay about Bernardos Lighthouse Project in Inverness. This should be a very interesting and informative talk. All are welcome to attend to hear about this work. Come along for the fellowship and welcome cuppa. Hope to see you then. CROSSREACH The Newsletter is available with a few copies at the back of the Church. It has recently been announced that CrossReach are to build a new facility at Erskine which will be home to 30 Looked After children. You can also find out about the Sensory Garden at Cameron House Inverness. CrossReach is grateful for all who remember its work in prayer. Please add it to your list. HIGHLAND FOODBANK Again the great need for the foodbanks was highlighted in the press. Do think about a little extra something in your shopping basket to help those struggling to make ends meet. A list of items is available in the annex to see what the need may be. BEETLE DRIVE There is to be another Beetle Drive in the Church hall on Saturday 10th February starting at 6.30pm (finishing approx. 9pm). Cost is £1/head for adults and 50p/head for children. Light refreshments will be served. We look forward to seeing you at what is always a fun event.